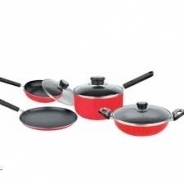 SHREE BALAJEE HOME PRODUCTS PVT. LTD. 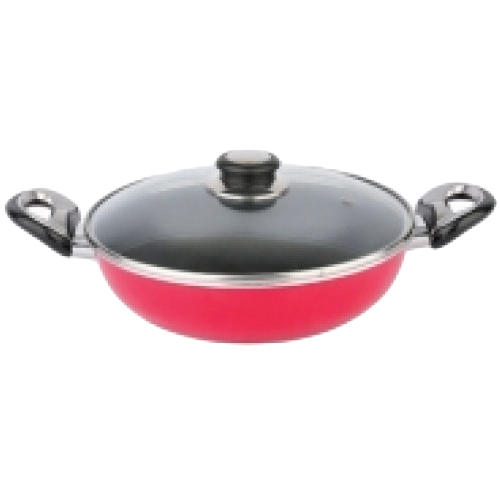 This Deep Kadhai is widely used for preparing various kinds of dishes & food items like sweets, curries, samosas and sweets. Due to their flat bottom, this kadhai ensure to maintain stability on the gas burners and is equipped with two sleek side handles fort ease and safety while handling. 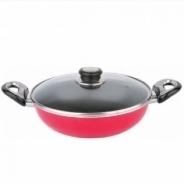 Further, our offered kadahi is available in various specifications and highly appreciated for their unique attributes like non-stick coating, induction bottom cookware with warp protection and corrosion resistance. Deep Kadhai is thoroughly checked and made under the supervision of our expert professionals as per the set industrial norms. 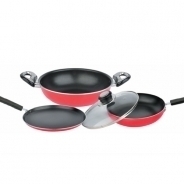 Induction Base, Non-Stick Coated, Sturdy Gripper, Heat Proof Lid.